Nando's, Carseldine Central, Carseldine, Brisbane - my name is Food. 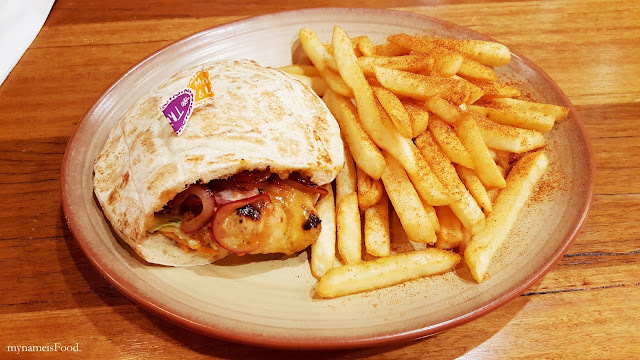 Anyone and everyone who loves chicken would have at least tried Nando's in their life or even eat it every week or every month.. Who doesn't? Well, maybe once every few months.. Now with more variety of flavour base you can choose from, anyone can dine here without having to feel like they will have to order the usual Extra Hot, Hot or Mild with the none spicy flavour being Lemon & Herb, eating that always when you come in can get boring but now with flavours such as Mango & Lime or Churrasco BBQ or even just plain is available, anyone's palates can be satisfied. 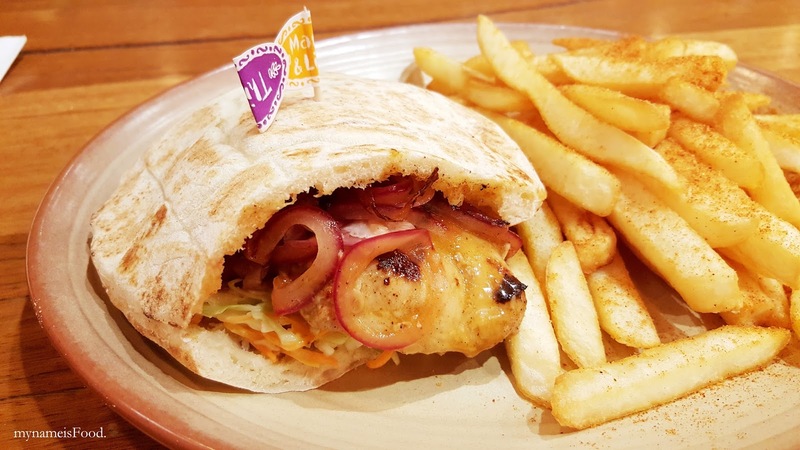 Having always ordering their Grilled Chicken every single time I dine at Nando's, I wasn't feeling it at this time and since there was only the two of us, we decided to go for something else. Looking through their salads and burgers, it just didn't feel right in a way going into Nando's and not ordering chicken, you know what I mean.. 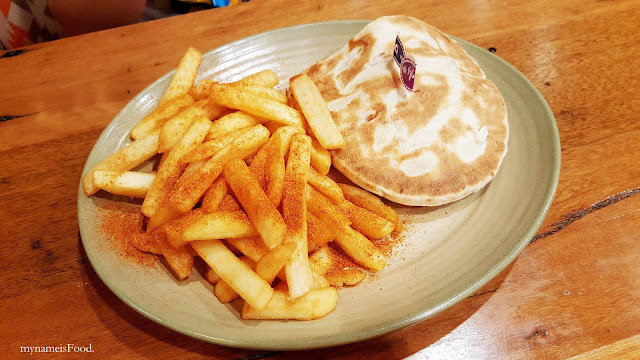 When I saw 'Thighs & Slaw Pita' (AUD$11.95) was one of Nando's options in their Burgers,Wraps & Pitas section on the menu, I decided to go with that. Something about chicken thighs and slaw just sounded delicious.. 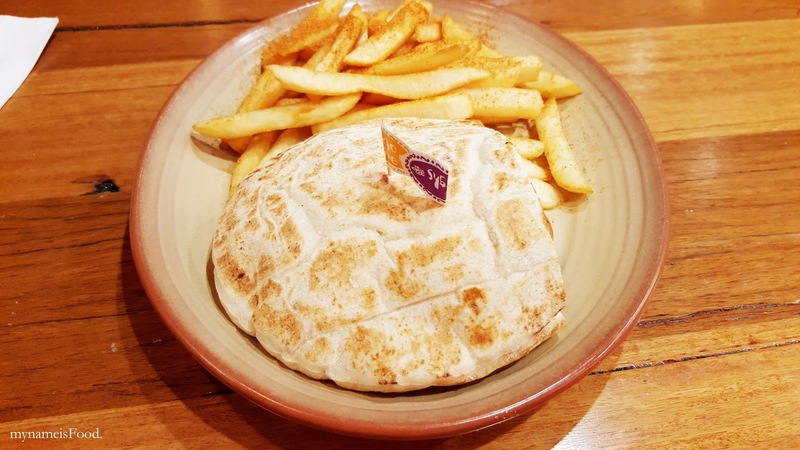 When it arrived on the table, to be honest, I was quite surprised by the size of the Pita bread. I thought it would just be some pieces of thighs with slaw stuffed and rolled into a pita bread but instead, it was a medium sized pita pocket. 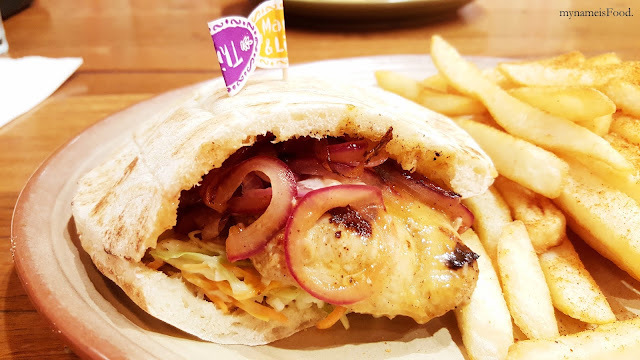 The pita bread was warm and slightly toasted stuffed with BBQ basted chicken thighs, coleslaw and caramelised onion. The pita bread was not too thick nor was it too thin until the sauce or the bottom of the pocket becomes soggy. The caramelised onion was caramelised just right as you could taste the pan fried smokiness as well as they were fully cooked and abit soggy but by having the fresh coleslaw, the mayo and the caramelised onion made its own sauce along with the BBQ from the chicken. The BBQ basted chicken thigh was subtle and did not give a strong BBQ sticky taste however with the combination of the fresh coleslaw and the caramelised onion, it all worked well and created a simple but delicious meal.